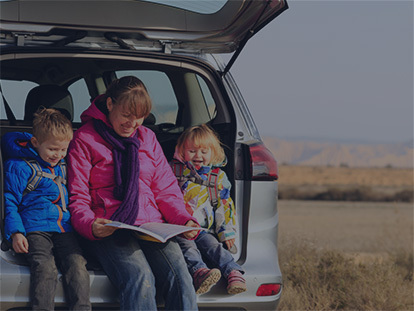 In many instances a motor vehicle is amongst the biggest purchases an individual or family will make, aside from a home or property. So it’s important to make sure you are happy with what you decide to buy, buying the wrong car can be an expensive mistake! If you are buying a new car the market today offers a great variety of options with a seemingly endless array of safety and technological points of difference, the Internet is an excellent place to conduct your research and determine what’s important for you. Likewise if you are looking at second hand cars that suit your requirements there is a vast array of dealer and private seller vehicles available online to research. Is the vehicle expensive to maintain? Is there a major service due? We will always recommend doing your homework when purchasing a vehicle from anyone. Normally a Licensed Motor Vehicle dealer can offer you more security (guaranteed title, ppsr checks etc.) peace of mind and a level of service that differentiates them. A licensed motor vehicle dealer is obliged by law to supply a statutory warranty most instances. Please note: older higher kilometre vehicles can be excluded from these obligations. See the department of commerce website to seek clarification. If buying privately make sure you are dealing directly with the owner of the car, this way they can answer any queries regarding the vehicle, ask to see there drivers license and make sure it matches the name and address on the registration papers. We would also recommend doing a car history check (www.carhistory.com.au) and PPSR check (www.ppsr.gov.au). This will tell you a bit more about the vehicle’s past and if there is an encumbrance on the car, which must announce clear title prior to you taking possession. Be very careful if you discover that the car has been written off, as some of the safety features may not be in working order and this will affect the price when you come to resell the vehicle. Has the car had any accident/hail damage? If so how extensive? Is the car on the written off register? What fuel does this car run on? Has the car had any mechanical problems? What safety features does this car have? How many sets of keys comes with this car? There are numerous areas on a vehicle that warrant close inspection when assessing condition, baring in mind we are not all qualified mechanics or spray painters, often an independent vehicle inspection can overcome any questions or concerns a buyer may have. When buying from a dealer ask to see a written report on the vehicle, covering mechanical, paint & body condition and indeed any works performed by the dealer prior to offering the vehicle for sale. Ask to see the log books, and look for the frequency of service and the presence of the servicing agents stamp , feel free to contact the agent to clarify. Check for tyre wear by making a visual inspection of each wheel, including the spare. Ask if there are any items on the vehicle during the inspection that are not included in the purchase. After all the due diligence you’ve carried out, you decide that this vehicle is the one! Your satisfied with the condition and that all the associated on road costs fit within your budget, its time to negotiate, put the icing on the cake! Be realistic , a low ball offer may not get you the vehicle and could impede arriving at a great deal. Know your market, know what’s fair and reasonable and weigh that against not only this car but others you may be considering buying. If you haven’t sold your old car yet, you could trade it in with us! We say yes to all car models, so whether you have a Ute, sedan, hatchback or convertible you could be driving away with a new car and with cash in your pocket. Just visit our Wangara, Osborne Park or Welshpool office.